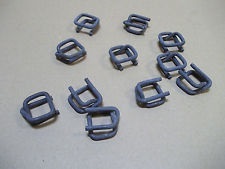 Polyester Cord Strap And Buckles – Grant Packaging, LLC. 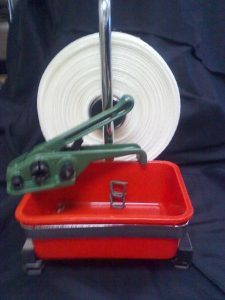 Grant Packaging carries cord products. Depending on the type of product needed we also provide a more affordable strapping alternatives. Cord Strapping is one of the more affordable modern alternatives. You can now find high strength cord that is safer to work with than steel, weighs less, and is easier to clean up at the delivery site. 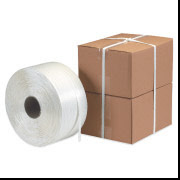 Grant Packaging carries Supercord and Lumbercord. Grant Packaging offers free samples to customers interested in trying out steel alternatives. If you need tools, regardless of whether you are working with cord strapping, plastic banding or steel strapping, you can find them at Grant Packaging. 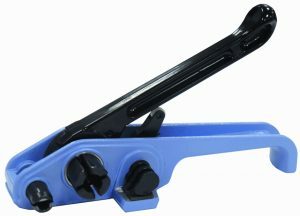 As you browse the website, www.GrantPackagingLLC.com, please notice tools and parts from OrgaPack, Fromm, MIP and others. You may even find the tools you need in the “used tools” section, allowing you to save even more. Grant Packaging even has a free loaner tool program! Ask for details. Loaner tools include sealers, tensioners and other strapping necessities. We will help with details simply call the toll-free number at 866-GRANT-PAC, and enjoy prompt service.